This BULAW5914 commercial law assignment deals with four major issues. These issues have been assessed after doing analysis of the facts which have been submitted. According to the available facts, Alfonse bought a step ladder from Barack, which is unbranded and double sided. This ladder was bought from Joe, although Barack never knew Joe and had not had any deal with him before, who was a passing wholesale vendor. But Barack didn’t know the manufacturer of the ladder whole Joe was also not available. Alfonse’ father, Theo – Paul was the first person to use the ladder. He fully cared the unfold ladder and then he fixed the separated arms. But the ladder collapsed and he fell down. Due to which, Theo – Paul was seriously injured and is permanently unable to do any work physically or mentally. The first issue arising in this case is whether a claim can be brought against Barack for his wrongful act to Theo, and if the claim is established then at extent will he be liable? That the defendant is under an obligation to take due care of the claimant. If the duty of care exists in real or not it can be analyzed by making consideration of what the normal prudent man behaves in the similar situations (Donoghue v Stevenson, 1932). That the duty of care was contravened by that defendant and this breach of act was as such that any prudent man of ordinary prudence would have reasonably foreseen (Drinkwater v Howart, 2006). That the breach of the duty by the defendant caused damage, loss or injury to the claimant and this damage, loss or injury need not be a nominal one. It may be sustained to the person or his property (Constantine v Imperial Hotels Ltd., 1944). That the plaintiff and defendant share a proximate relationship (Palsgraf v. Long Island Railroad Co., 1928). The damage or the injury so caused should not be so remote with the negligent act of the defendant that any prudent man of ordinary prudence would have reasonably anticipated this. The remoteness of damage was enumerated in Overseas Tank ship Ltd v Morts Dock Engineering Co Ltd (1961). The principle of neighbourhood is defined as the main significant principles which have been defined under the law of tort for negligent acts. According to the principle of neighbourhood, the plaintiffs who are closed related to him, then the wrongful act of the defendant is imposed on him causing damage. Moreover, to impose the liability as per the law of negligence, on the defendant, it is important that the injury which is resulted has to be contemplated by the defendant. If the defendant is not able to predict the cause of injury, he is not liable, or he should make a good loss so which is suffered by the plaintiff. 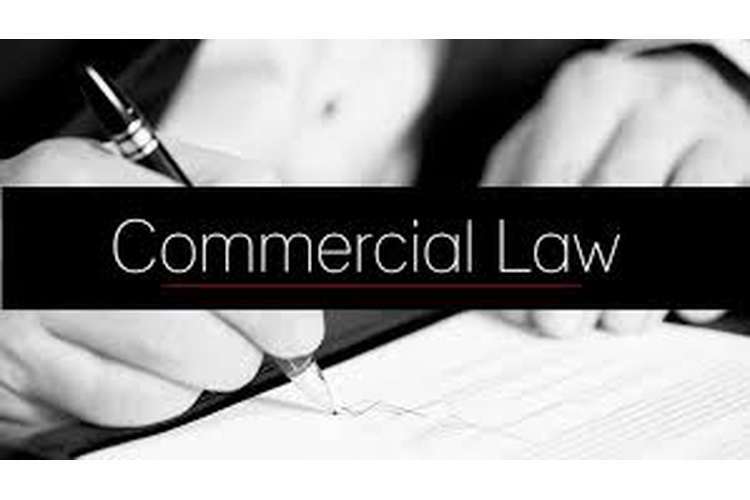 The NSW is a civil liability that set some provisos where the seller or the manufactures are responsible due to the damages done to the consumer. Under sub-section 1 of section 51 of the Civil Liability Act 2002, it is provided that to make the manufacture responsible of its wrongful act under negligence, it becomes important to give a proof of that damage sustained by the plaintiff and it is also important to show at the same time that the wrongful act could reasonably be foreseen and has to be adjudicated by taking it under consideration how would a reasonable man or ordinary prudence would do if placed in that same situation. Under, 5H (1) it says that if the harm so caused to the plaintiff was obvious in nature then the responsibility of the taking care is obligatory on the manufacturer itself in such circumstances. The duty of care is not just limited to the manufacturer rather it is imposed on the retailers, suppliers, distributors and on the buyers as well in case there is any particular kind of connection between these suppliers and the plaintiffs (Mc Pherson’s Ltd. v Eaton, 2005). The seller is obliged to allow the buyer know the potential danger which he should know but here the duty is not given for any defects or damages which are discussed in Elliot v Bali Bungy Co (2002). Therefore, taking the case facts under consideration, it has been identified that the seller of the ladder is Barack. And he owns an obligation of taking care for the customers of the ladder in the present case with considering the anticipated damages. It is known to Barack that if there is any default in the ladder then the same can cause damage that may be sustained by the users of the ladders but he didn’t check anything. That’s how Barack being the owner, the duty by him was violated causing damage to the user Theo – Paul. So, Barack is only responsible for this whole situation. Hence, this issue be concluded by stating that an action of negligence for the wrongful or negligent act of a person which could be foreseen, can be brought against only when it is proved that the person owed a duty of care which was breached causing loss, damage or injury to the other person or the person’s property which may be nominal too. The second issue in this case is whether Theo- Paul a claim of Australian Consumer Law, and against whom should he bring the claim? Part 5 – 4: If a customer buys any product then the he is said to have an immediate contract with the buyer. At hand has been no such connection which can be linked with the goods’ manufacturer. So, the only option to get rid of which the consumer has against the defective product is with the goods’ supplier. Though, there are some situation wherein the consumer can hold guilty the manufacturer for the looses that took place, in case if the goods received don’t match with the acceptable quality and criteria or if the goods sold under description are found different when they are delivered. In these circumstances, the supplier is very difficult to be located. So the consumer is left with only one option i.e. he has to sue to manufacturer against the loss caused to him. Thus as per the Division 2 Part 5 – 4, Theo – Paul can’t bring any action against Barack, as it couldn’t bring any claim against Joe, the manufacturer of the ladder, and he could not be traced. Hence the other claim is given in under Part 3 – 5. Part 3 – 5: The ‘Part 3 – 5 Australian Consumer Law provides the legal responsibility of the manufacturer meant for the products with their protection and faults by which a plaintiff can sustain any kind of damage. This part is based on the EC Directive on the Defective Products of 1985. In case, the plaintiff can’t identify the manufacturer, he should ask the supplier to give him manufacturer’s information. But here, if the supplier fails to give any information related to manufacturer, then the plaintiff can sue the suppler according to the Section 147 to seek enough compensation for the damage caused to him by the product (ACL 2010). So, the plaintiff can take action against the manufacturer but if the manufacturer is not identified then the supplier is held responsible for the loss or damage caused to the plaintiff. According to the Part 3 – 5, the goods should have safety defects which represents that these are not safe according to the person’s expectations. The plaintiff had to face loss or suffered injuries due to the defective goods. The defective good is described in Cook v Pasminco (2000). If the damage or the injury is done as of another person’s suffering due to defective goods. If the damage or loss is caused due to damage in another goods which was resulted due to defective goods. If the damage is done as of some land, building or fixture as of defective goods. The plaintiff has right to claim for personal injury and death, in case if he suffers loss or damage due to the defects in the goods. So, Theo has to sue the supplier, and Barack on the basis of grounds mentioned above. Theo – Paul was working as a senior executive with a big company before the damage. He was earning $400,000 in age of 45. He was 4healhty and active athlete. But the injury made his life terrible. He has migraine and poor life. There no point discussing the poor quality life and loss of earning as per the rule of Civil Liability 2002 NSW, section 11 – 17A and as per Competition and Consumer Act of 2010 pt VIB. Part 2 Division 1 of the given act provides the cases of damages caused to the injury to the person. Sections 12 to 13 are concerned with the loss of earning. The plaintiff is granted for the loss of him earning capacity when the personal injury takes place. The loss is regarded economic loss to the plaintiff which he faced due to his personal damages and injuries. He might have kept on earning in case if he would not face the loss due to the goods caused him personal injuries. The plaintiff has the right to claim economic support in future for his loss mentioned under Section 12. The courts identify the damage of the plaintiff by analyzing his expected future problems which may be due to his personal injuries. According to it, the plaintiff can be awarded 3 times his average weekly earnings which turn out to be something around $1,380 a week. The damages caused also given when the loss is less than 15% of the most extreme of cases, of the maximum damage is around %500,500. 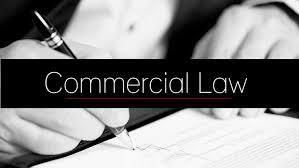 Part VIB of the Competition and Consumer Act 2010 is related with the initial proceeding of the plaintiff given in ‘Part 2-2, 3-3, 3-4 or 3-5’. The plaintiff has to mainly look for the compensation against his personal injuries within a time frame of 3 years which is a long step time as well as the time of discovering the damage. These acts cover economical along with non-economical damages. Loss of Quality life: The award is given for common damage against committing of offense that causes personal damages which satisfies section 87L and Competition and Consumer Act 2010 which provides non-economic Loss. ‘Division 1, section 87D of Part VIB’ which describes them to be related to the suffering and pain which the plaintiff has to face including the loss of expectations of life, disfigurement loss etc. A cap was established in 2004 and the damage caused but the damage done the plaintiff. This is considered under 87M. The normal damages to calculate the normal considered issues with high extent of highest awarding. In general senses, the damage which lower than the 15%, don’t cover any kind of non financial damage or loss. According to the Section 8TT, the court normally considers its precedents in the analysis of any general damages. But according to the damaged defined in Competition and Consumer Act 2010, the magistrates cannot allow ordering those amount that are in surplus to the product. Defeat of earn: Part VIB of the Competition and Consumer Act 2010, the common damages against committing of offense that causes personal damages or loss is given in the ‘Division 3, section 87U – 87Z of the Competition and Consumer Act 2010’, that deals with the economical loss. As per section 87U, cap damages are fixed which is twice the average of the normal income in a week as per the fiscal quarter on the loss or damage of income capacity is ordered for the vocalization of Competition and Consumer Act 2010 where the provisos causes personal injury, loss or death to the person. The fourth as what are the rules of the Australian caps on damages which are presented in the above issue. In the words of Bob Car, the maximum number of injuries caused in the brain of a person rises from $1.16 million as per the estimate in the year 1980 to a significant amount of $10.7 million by 2000. Moreover the CCA gave an estimate that the public and product liability both have experienced an increment by 3% around 1995 to 2001. The main reasons for such increase in damages are quite sophisticated. Heads of Treasuries, Trowbridge Consulting in 2002 had to cap the personal injury loans. The report of 2002 gave more strategic reasons and said that all Australian states have imposed a cap on the personal injury claims as the major reason which the court issues excessive damages or injuries. So to curtail the same thing, cap imposition is required there. Normally the courts are dedicated to issue complete compensation to the plaintiffs. They do so as they can be placed at the exact condition wherein they are prior to the damages or injury. It is a matter of fact that limited cap should be imposed up the payouts of such injuries. Civil Liability Act, available at http://www5.austlii.edu.au/au/legis/sa/consol_act/cla1936161/s41.html (Accessed on 21st May, 2015). Murphy v Brentwood District Council, available at http://swarb.co.uk/murphy-v-brentwood-district-council-hl-26-jul-1990/ (Accessed on 21st May, 2015). OZ Assignment Help is providing tourism research assignment help by the top most professional writers with the guaranteed good marks.